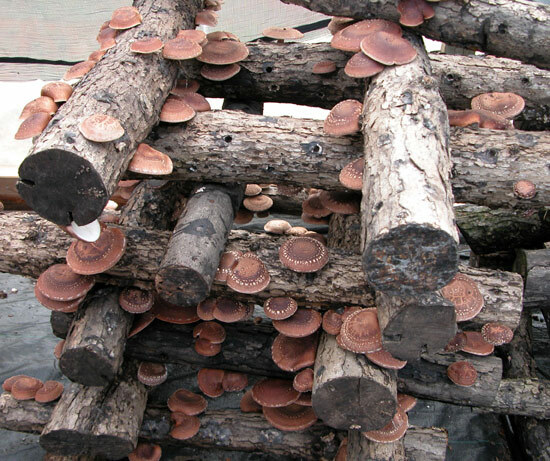 and preparation, these fungi are used both raw and sun-dried, but many people prefer them sun-dried, considering that the sun improves their vitamin component. The selling price of these mushrooms is approximately 10-15 EUR / kg. This consists in making holes in the logs and inoculating them with shiitake spawn. Mycelium is sold in different forms; there are even alternative forms of caps which are inserted into holes just made. -Optimal wood to use: oak, alder, ash, chestnut, beech, walnut. Conclusion: It is a business that does not require great physical and financial effort, but with a little patience and attention in meeting the conditions of growth, anyone who chooses to invest in this activity can make a considerable profit. 0 Response to "Growing shiitake mushrooms"